Personal Injury Attorney in Lake Buena Vista, FL | David R. Heil P.A. 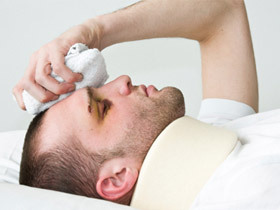 Have you suffered a personal injury, been hurt or disabled? Are you concerned about protecting your future, and worried where the money will come from to get things back to normal? As a matter of fact, no one should suffer from an accident that was caused by the negligence of another party. For this reason, you need to reach out to a competent Lake Buena Vista Personal Injury Attorney to fight for you and get you a just compensation. If you are in search of a dependable Personal Injury Lawyer in Lake Buena Vista that has lots of years of experience in handling Lake Buena personal injury cases, you can always turn to the Law Office of David R. Heil P.A. I am a renowned Lake Buena Vista Personal Injury Lawyer with several years of experience in handling personal injury cases. I am known to offer outstanding representation for the personal injury cases of my clients. I am always ready to help you get all you need to recover from the pain and suffering caused by the personal injury and get your life back. If you have been involved in an accident in Lake Buena Vista or in any county in Central Florida caused by another individual or entity’s negligence, the law office of David R. Heil P.A. is here to help. I will ensure that justice is served. I will help you get a substantial compensation for the injuries and other damages you incurred. I believe that each personal injury case is unique. I will try as much as possible to understand all facets of your specific situation. I will be able to use this to effectively defend your rights. I will gather sufficient evidence and make use of adequate financial backing to pursue your case aggressively. I am a distinguished Lake Buena Vista Personal Injury Lawyer that is ready to do all it takes to help you get substantial monetary compensation to cover your medical bills, property damages, lost wages, and so forth. You should not suffer from another person’s negligence. I will help fight for your rights. I am your dependable and trusted Lake Buena Vista personal injury attorney, covering a diverse array of cases. My practice areas include every type of personal injury case, from slip and fall accidents to complex product liability cases. I am committed to maintaining the highest level of service, integrity, and responsibility. No matter what type of negligence has taken place, I can help. While some Lake Buena Vista Personal Injury Lawyer may pass your case off to an investigator, paralegal or case manager, I personally handle each case with expertise, sophistication, and professionalism. When you hire me as your Personal Injury Lawyer in Lake Buena, you are assured of getting top quality representation, from an experienced Lake Buena Vista Personal Injury Attorney. As a Lake Buena Vista personal injury lawyer, I understand the deeply personal nature of each individual case and therefore ensure compassionate, responsive care that stands above the rest. Each case is unique, and I strive to understand all facets of your specific situation resulting in my effective and high-level ability to defend your rights. You can always expect top class representation from me. Whether you have been involved in an auto collision, motorcycle accident, pedestrian accident, bus accident, or in an accident inside the premises such as a slip and fall accident, then it is strongly recommended that you obtain the legal services of a personal injury attorney in Lake Buena Vista right away after the incident. Contact me today! With David R. Heil, you are guaranteed to get outstanding representation, and a just compensation.